Beef meat is amongst the most widely consumed meat in the world, accounting for about 25% of the global meat production. Researchers have shown that beef meat consists of low fat, approximately less than 5% (Scollan et., al. 2005). The United States, Brazil and China are the world's three largest consumers of beef meat, while the world's largest exporters of beef are Australia, Brazil, India and the United States. Beef meat production is also important to the economies of the world and there is need to preserve beef meats before supplying them to the end users . According to Velasco & Williams (2011), beef meat quality can be improved by adding natural antioxidants onto the meat surface or by using active packaging which retards lipid oxidation. Beef meat is the culinary name for meat from cows, cattle and heifers. The muscle part of the beef meat can be cut into steaks,roasts, short ribs, sirloin steak, rib steak and rib-eye steak for various cuisines. Some cuts are processed into corned beef, minced beef, sausages or trimmings while the bones are used for making beef stock. In recent years, Scollan et. al. (2005) agree that the fatty acid content of ruminant products has become increasingly vital due to the relationship between the fatty acid composition of dietary fat especially saturated fats with cardiovascular and other health-related diseases in human beings. In Europe, the dietary advice is to decrease the fat content of the diet intake and to increase the intake of n-3 polyunsaturated fatty acids. Certified Hereford Beef from Hereford cattle. Aberdeen Angus, which is the UK equivalent marketed for high quality and known for stricter animal welfare rules. Organic beef, which is made without added hormones, chemicals and pesticides. 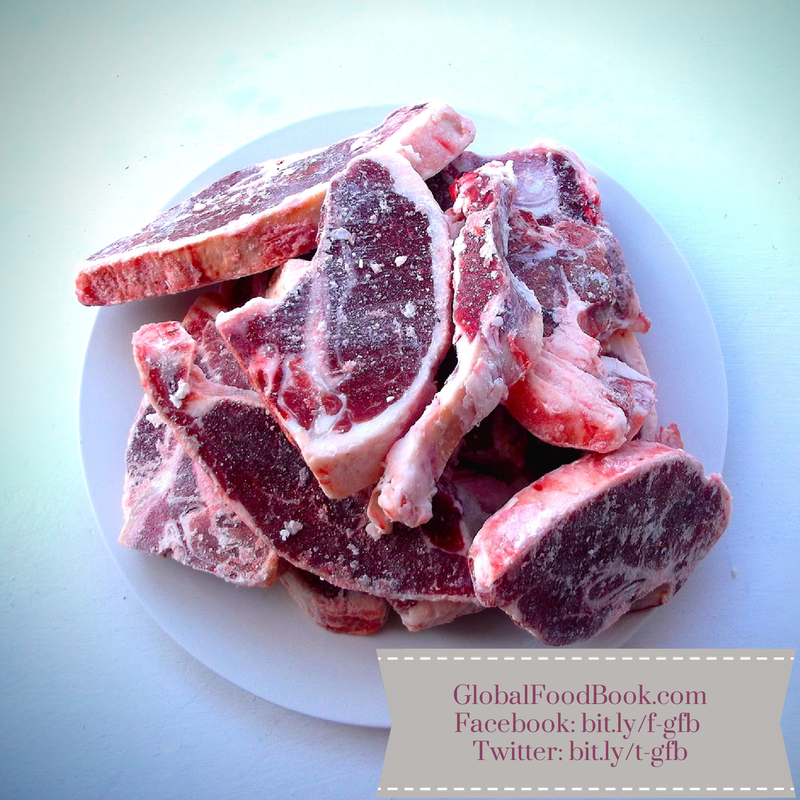 Halal beef, which is certified to be processed in accordance with Muslim dietary laws. Kosher beef, which is certified to be processed in accordance with Jewish dietary laws. The Certified Angus Beef (CAB) in Canada and the USA brand, which is owned by the American Angus Association. Sous vide is a method of cooking meat in sealed plastic pouches at very low temperature for a long time (García-Segovia et., al. 2007). Grilling involves cooking the beef over or under a high heat which leads to flaming of the surface of the beef with tantalising taste. Barbecue (BBQ) refers to grilling of meat over charcoal or smoke from a wood fire for a long period of time at low temperatures. Griddle Meat can be cooked on a hot metal griddle with the meat being lubricated with oil to minimise sticking. Roasting involves cooking meat in a hot oven to produce roast beef. When using this technique, oil is not added and this method is ideal for thicker pieces of meat (Tornberg 2005). Beef meat can be shallow fried, deep fried, battered with breadcrumbs or flour before frying. Moist heat method involves pot roasting, stewing and braising especially for beef cuts that are tougher to cook. Beef are rich sources of fat, vitamin B6, vitamin B12, D, E, K, protein, riboflavin, thiamine, niacin, calcium, zinc, potassium, sodium, zinc & manganese. Globalfoodbook recommends reasonable intake of beef for rich nutritional value. Garcia-Segovia P., Andres-Bello A., & Martinez-Monzo J. (2007) Effect of cooking method on mechanical properties, colour and structure of beef muscle (M. pectoralis). Journal of Food Engineering, pp. 815–819. Tornberg E. (2005) Effect of heat on meat proteins: Implications on structure and quality of meat products. Meat Science, pp.495–548. Velasco V. & Williams P. (2011) Improving Meat Quality Through Natural Antioxidants, Chilean Journal Of Agricultural Research 71(2) p.316. Scollan N.D., Richardson I. & Moloney A. P. (2005) Effect of beef systems on meat composition and quality, Institute of Grassland and Environmental Research, p.3.